The Turtle Lagoon is home to some of the most ancient animals alive on Earth, sea turtles. Sadly these reptiles are endangered around the world. In this exhibit, visitors have the privilege to see four of the five species of turtle found in South African waters. The exhibit has been specially designed to include a beach and some of our female turtles have even used this beach for nesting. Turtles must rise to the surface to breathe air. They are able to hold their breath for long periods of time and, when resting, will often remain motionless as they wedge themselves into a cave or under an overhang. 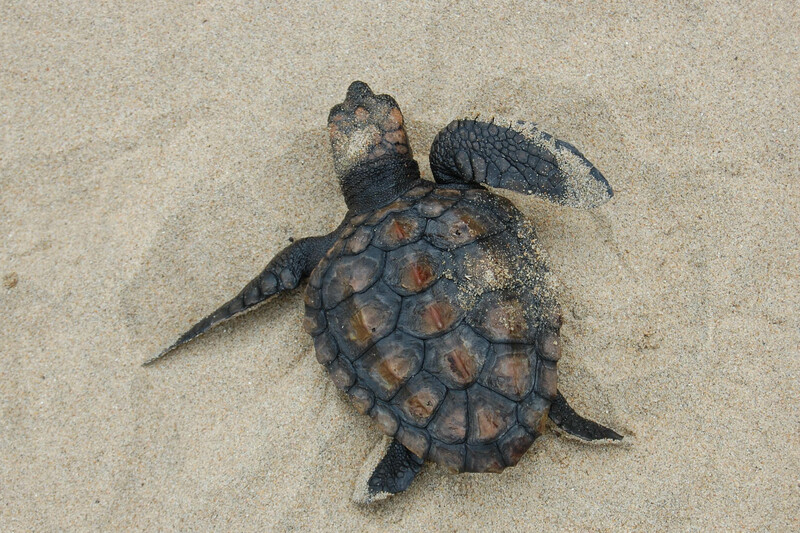 Of the five species of turtles that are found in South African waters, only two nest on the beaches of northern KwaZulu-Natal, the loggerhead and the enormous leatherback turtles. The green turtle is a non-breeding migrant, while the other two species, the Olive Ridley and the beautiful hawksbill, occasionally stray into our waters. The endangered status of the world’s turtles is a result of pollution, overharvesting of the adults and eggs for human consumption, destruction and alteration of breeding beaches, gill nets, long line fishing and human ignorance. As turtles are found throughout the world’s oceans, international collaboration is essential to ensure the future survival of these amazing animals. Many of the turtles in our exhibit arrived at uShaka Sea World because they had been injured at sea. They have been rehabilitated by our dedicated aquarists and those that cannot be released join our turtle family.